1. The ticket holder indemnifies the PSL, Sponsors, employees and service providers against any loss, damage & liability that she/he may suffer at a PSL Event. 6. The PSL/ Stadium and its officials or agents will not be liable for any loss, injury or damage howsoever caused to the holder of the ticket. 8. While the PSL/Stadium will use its best endeavours to ensure that the ticket holder is given use of the seat to which the tickets refers, it reserves the right to substitute the seat with another whenever it is deemed necessary. 9. No holder of the this tickets shall be entitled to sell alienate, donate, transfer or in any way dispose of this ticket for a consideration ( in cash, in kind or of whatever nature) in excess of the face value of a normal ticket. (Items 1 to 3 and 5 to 9 are not applicable to persons who are accredited by the Stadium Operator and, where applicable, are in possession of the necessary licences and/or permits required in terms of any applicable law to provide catering, hospitality, vendor, security, pyrotechnic or entertainment services at the EVENT). 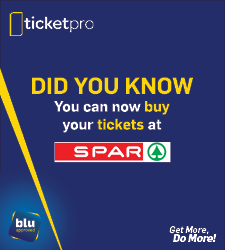 Standard tickets are sold subject to the terms and conditions set out below which can also be perused at www.nmbstadium.com. 1. For the purposes hereof, “ticket” shall mean standard tickets. 2. Right of admission to The Nelson Mandela Bay Stadium (the Stadium) is reserved at the discretion of Mandela Bay Development Agency and its senior management ("management"). 3. The ticket must be produced at the appropriate entry points and/or on demand by any authorized official. 4. Entry into the Stadium and demarcated areas will not be allowed to persons under the influence of alcohol or narcotics or in possession of any item or substance deemed to be illegal or undesirable by management including any recording equipment and/or dangerous items, weapons, explosives, incendiary devices or sharp objects, animals, or any other items which management may refuse at their discretion, including any objects or clothing containing political or commercial identification in breach of condition 7 below, or any other object which may be offensive, disruptive, dangerous or likely to infringe the safety or security of others – a full list of which is displayed at the entry points of the Stadium which also may be viewed at/or may be obtained from the Stadium Management offices by calling (041) 408-8900. 5. Where admission is refused, or the bearer is evicted from the Stadium and/or demarcated areas, no refund will be paid. 6. Access to the playing field for sports events shall be restricted to authorized players and officials on the day of the match to which this ticket refers (the "match"). 7. The bearer shall not behave in a disruptive or drunken manner, endanger the safety of other persons at the Stadium and/or demarcated areas, nor unreasonably obstruct the viewing of the other spectators. 8. The bearer shall not engage in any form of "ambush marketing" or unauthorized promotions and shall not breach or infringe the rights of any sponsors, suppliers, broadcasters or other parties commercially associated with the match. 9. The use of tickets may not be transferred as prizes in lotteries or competitions, sold, donated or disposed of for commercial gain, unless authorized by stadium management in writing, or through an authorized agent. Any ticket obtained in breach of these conditions shall be void and all rights connected therewith shall be nullified, including the bearer’s refusal of entry to, or eviction from, the Stadium and demarcated areas. 10. Management shall, subject to these Terms and Conditions, use its best endeavours to ensure that the bearer be given full and unencumbered use of the seat to which the ticket refers, but reserves the right to substitute the seat with another at its discretion. Management does not guarantee the quality of the match, nor that the bearer will have an uninterrupted and/or uninhibited view of the match from the seat provided and does not accept any liability in relation thereto. 11. In addition to condition 9 above, it is stated that all members of the public over the age of 2 years will pay the full price of a ticket for admission into the Stadium. An infant will not require a ticket, bearing in mind that the infant may not occupy a seat and will have to be positioned on your lap. 12. Under no circumstance will any refund be given. 13. This ticket is valid for the event for which the ticket is purchased and for which event is detailed on the ticket. 14. Stadium Management will not accept liability for replacement in the event of this ticket/membership card being lost or stolen. However, should the decision be taken to replace lost/stolen ticket, a pro rata charge will be levied. 15. Parents/legal guardians shall be responsible for the well being and safety of their children whilst present at the Stadium. Access shall under no circumstances whatsoever accept responsibility for the well being or safety of children present at the Stadium, including children who hold scholar season tickets. 16. To the fullest extent permitted by law, stadium management shall have no liability for any loss, damage, injury, accident, delay, unavailability of parking or inconvenience occurring before, during or after any rugby match or any cancellation of any rugby match hosted at the Stadium. To the fullest extent permitted by law, the bearer (and where applicable, the parent(s)/legal guardian(s) of the bearer) hereby indemnifies and agrees to hold stadium management harmless against any claim for loss (including consequential loss), damage, accident, personal injury, delay or inconvenience instituted or brought by any guest, invitee, employee, director, shareholders, member, trustee or family member of the bearer against stadium management. 17. The bearer shall at all times when present in and around the Stadium comply with all stadium rules applicable to the Stadium and the particular rugby match. Stadium management shall be entitled to make and change rules of general applicability governing the conduct of spectators, whilst in/or around the Stadium and including rules of conduct pertaining to the use of the outer fields within the Stadium. 18. 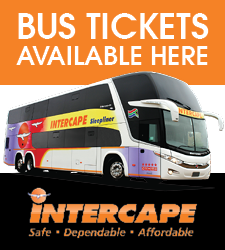 This ticket is issued subject to Ticket Pro’s standard Ticket Purchasing Terms which can be viewed at www.ticketpros.co.za. 19. By using this ticket you acknowledge that you have read these terms and conditions, that you understand same and that you undertake to abide thereto.